The Makuta, one of the most powerful species in the Matoran Universe. They were creators of Rahi, enforcers of order, the protectors and the bane of the Great Spirit Mata Nui. As I know of no list of all the Makuta, neither official nor inofficial, what about if we make one? 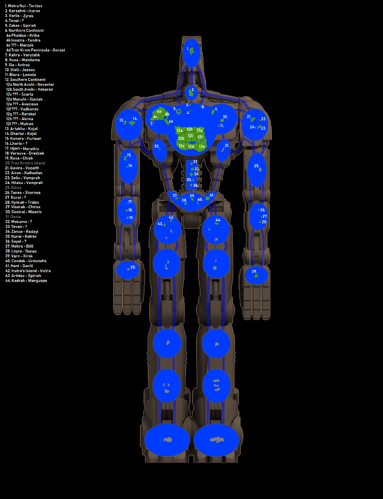 All 100 Makuta, as a Brotherhood as it was at the beginnig, everyone of them with his or her own story. And of course accompanied by a MOC of the Makuta. One person alone could'nt hope to achieve that in a reasonable amount of time, I guess, but as a community ... There's hope. If you want to participate in this project, please take a look at the rules and if there are any Makuta left in the "to be assigned" category beforehand. You'll find both below. If you then decide to build a MOC, please tell me and wait for an OK from me before you post anything in a seperate topic. Please don't upload pictures of your finished MOCs on this topic. There's also no need to link your MOCs below, as I will do so on the list, when they're finished. If you haven't got a reply from me or if your MOC didn't show up on the list after two days, you're welcome to remind me. After all, it can happen, that I overlook someone. Both, the drawing and the "Book of the Brotherhood" entry will be posted once the project is complete. For more information see post 374 and 470. For more information about those revamps see post 849 as well as the Antidermis pool WIP topic. The five Makuta who sided with Miserix at the convocation are all done already. The two Makuta who were kept by Teridax to create Kraata after he took over the Matoran Universe and were later killed are done already. The Makuta who was killed by Toa Zaria is done already. What about that update on your Krika MOC? Please repost the pictures in Fenerak's topic - they're not visible anymore. Here's a new map, provided by RSG and edited by me. You are free to go into detail about your Makuta's region in your MOC's backstory, but I can't promise that RSG will go along with that. Since currently they don't have much information either, it might be possible that whatever you write will get accepted in RSG, too. If not, changes will be made, although I'll always try to speak in your interest. Due to backstory reasons the Makuta of Mokumo should die somewhen between 70,000 and 60,000 years ago. If I got anything wrong, please tell me. Your MOC should wear a mask or have a head that looks like a mask. Ideally your MOC should have the complexity of a Titan build, although I'm somewhat tollerant in that point. Have a look at my Makuta MOCs if you want to get an impression of what I deem perfect in that regard. The Makuta should be humanoid and not mutated. This means they should walk upright, have exactly two legs, one head and a minimum of two arms. You're allowed to add more arms, wings, tail(s) etc. At least the main picture of your MOC shouldn't be too dark/too bright/blurred and such. Everyone should be able to tell colours apart and see details. I require at least one picture from the entire MOC from the front, posed or neutral. If posed the pose shouldn't obscure too much of the MOC, though. Again, look at my MOCs and revamps in order to see what I'd deem ideal in that regard. This is a project that aims at creating G1 characters. It would make me extremely happy if you could use no CCBS parts for your MOC. But since the era of the G1 building system is 5 years gone and some of you understandably don't have any/very few G1 parts, CCBS MOCs of course will get accepted, too. But please at least consider using no CCBS if you can. Thanks. Your MOC should only consist of official Lego parts. Exceptions are: Kanohi and everything you make out of cloth (wings, capes, etc.). Modified parts are allowed (but not encouraged). - obviously not the Kraahkan, but also no mask that is "shaped like a Kraahkan"
This doesn't apply to already accepted MOCs. It doesn't apply to canon Makuta with known masks either, of course, but it does apply to those whose masks aren't given. There might be Kanohi added to this list from time to time, so be sure to have a look before uploading your MOC. You can also take a look at post 1592 where you can find a list with all masks in use. If there's only one wearer and the mask isn't on this list you're allowed to use any of the masks described there. Your Makuta has to die before the entrance to Karda Nui is discovered. That would be around the time Jaller and his friends set out to find the Toa Nuva. Again, this obviously excludes canon Makuta, whose fates we know. Your Makuta isn't allowed to kill another Makuta except if you do another Makuta MOC which is killed by the first one in its backstory. If so, tell me and that first MOC will get accepted as soon as the second one gets accepted, too. Toa aren't allowed to be responsible for your Makuta's death. 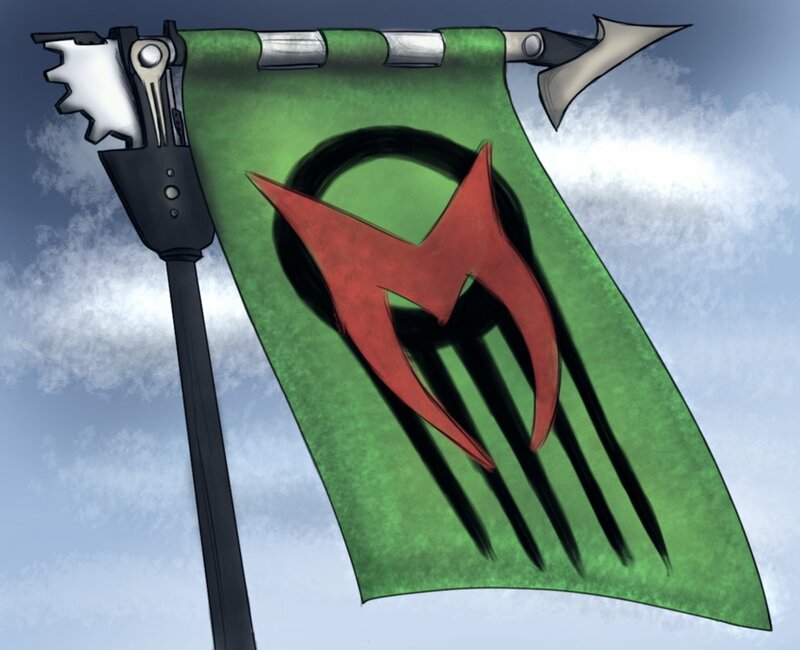 No more Makuta are allowed to have died through the hands of the Order of Mata Nui. The exception are canon Makuta. If your Makuta is killed by another Makuta, I (Gilahu) might request you to change the killer's name if I feel like this Makuta already killed enough others or doesn't fit as killer. You're allowed to use every Makuta accepted into this project as killer, as long as it makes sense (in my eyes). Your Makuta isn't allowed to be a full-time warrior or best known for his/her fighting abilities. Your Makuta is allowed to fight in the battle against the Barraki, but should not play a major role there. Your Makuta isn't allowed to specifically create only/mostly dangerous Rahi, very big Rahi or try to create anything other that is particularly big and/or dangerous. This includes weapons. It doesn't include coming up with the idea for the Fohrok and/or Exo-Toa. You can only reserve one Makuta at a time. As soon as that one is accepted you may reserve another. Preferably name your entry to this project The Brotherhood of Makuta - "Name of your MOC". If you want an example of what I would otherwise consider a perfect entry, have a look at my Makuta and Makuta revamps (linked above). Basically everyone is allowed to cover as many Makuta as he or she wants. However, the more Makuta you do, the more demanding will I be on the MOC. I also will only allow people who build really good MOCs to do more than three Makuta. You have three months to submit your entry. If you don't manage to submit it in time you will be removed from the list for two weeks, after which you can join again if you like so long as no one has claimed your spot in the meantime. The exception to this is if you can show me serious WIP progress on your MOC which might incline me to give you more time. If you need help with a backstory, I'm always ready to help. You can find a timeline about Brotherhood stuff in post 1275 - it might give you an idea for how Makuta died and what happened when. There might be things added/removed here from time to time. I think Teridax used a pool of Antidermis to make Kraata when he took control of the universe. Edit: guess he did keep a few alive, never mind. Ooh, a community project, seems fun. Good thing my Makuta MOCs are my most complicated, and kinda titan sized. But, anyway I think this could be kinda cool, if getting the community motivated to join in. Oh! Can I please do this one! Cause he is like total creative freedom! ...And my entry to the build eachother's mocs game. Yeah, I'm totally getting leftovers. Can I do Krika? 'K, thanks. I will probably do 1/71 male makuta. I am in, I will do one of those female Makuta, and I shall dub her...Makuta Rerekei. Although I must personally disagree with the "no gold" rule, seeing as gold is more associated with moral light than it is elemental light, and originally, the Makuta were made to be good, heck, even in a certain alternate universe, Teridax was white and gold, not because his element was no longer shadow, he still wore the Kraahkan, but because he had embraced his moral light. I got a Makuta. I call dibs on the one killed by Zaria. seeing how I'm lazy and I've already mocced him. And I guess I'll make a female makuta as well. I don't think there should be a scale rule, people build in different scales, I for one build larger than sets, some people build small, why limit that and alienate possible mocists? The makuta can be the same size in-universe without being the same scale. @PakariNation99 I agree, though I think for this project we should just include MOCs uploaded here. Yes, the Makuta in that alternate universe (if you refer to the alternate Light Teridax Mazeka met) did embrace their light, but they did control it instead of shadow, too. This particular form of Teridax wore the Kraahkan as some kind of reminder or test, I think. As to the golden parts ... I think Makuta should'nt use them so much, but as long as the colour scheme is not white/gold or mainly gold, it's not really that big of a "problem". Torso, upper arms and head are sufficient, weapons too. The legs could perhaps use a bit more elaboration (especially the feet). Otherwise ... yes it would work, though perhaps you should take a better picture of him in a better pose and with him looking into the camera or some such, too. About that scale rule ... you're right, of course, especially about that same size in-universe, but - ok, that's my very, very personal opinion - I feel like small MOCs usally have not enough details and really large ones too much. I think "G1 Titan sized" is a pretty wide field to operate in and so ... I think we should stick to it at least for now. Have a look at the list above for changes! I'm confused by the "No longer Makuta" part of this, could you elaborate, what do you mean by "No longer Makuta"? Are they something other than Makuta? Are they like Velika? I may just be confused over something simple, but elaboration would be appreciated. as long as the colour scheme is not white/gold or mainly gold, it's not really that big of a "problem". I find that more agreeable. 2) Then let's make the "no gold" the "official" version (so that we don't get too many golden ones) and the "no white/gold or mainly gold" the "inofficial" one. I'll do a Male Makuta (two if I have time, but just put me down for one). I'd like to do this, but could you not assign me one with too much blue or white please?